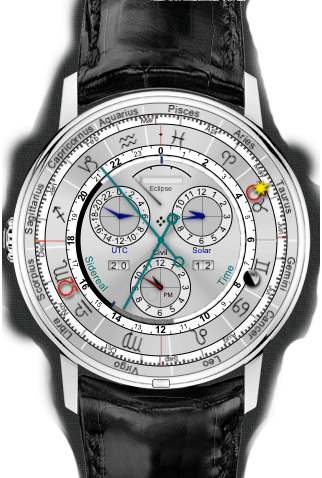 Emerald Geneva is a "Lite" version of our flagship iPhone™ app Emerald Chronometer®. Emerald Geneva contains only the single watch Geneva, the most complicated of the 16 watches in Emerald Chronometer, and does not have (or need) the mechanisms to switch between watches; but it is otherwise identical to Emerald Chronometer's version of Geneva. 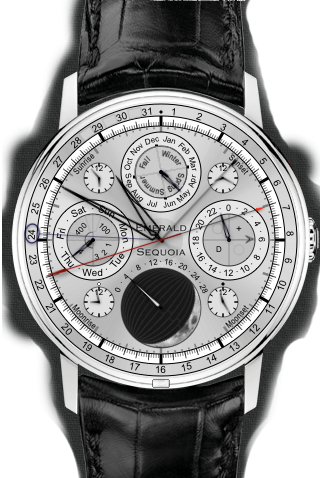 All of the supporting technology, including NTP (atomic time), the highly accurate astronomical data from 4000 BCE to 2800 CE, and the ability to select locations and time zones in a variety of ways, carry over from Emerald Chronometer unchanged. General Emerald Chronometer features, keeping in mind that watches other than Geneva are not included in this app.